The Kinkade family recently explored the desert Southwest, in an oversized RV equipped to be a rolling art studio. 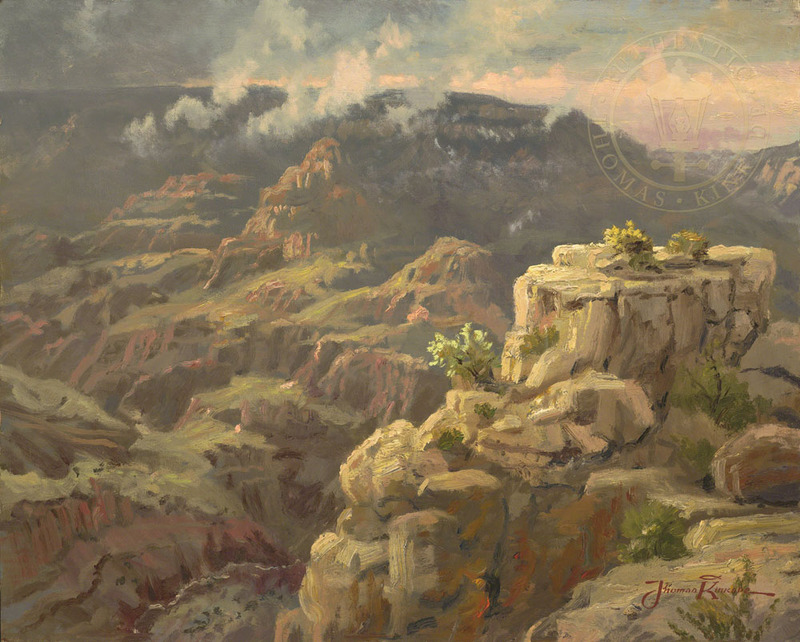 It has long been my ambition to paint The Grand Canyon, truly a place where mortal man stands on the edge of eternity. The ever-changing moods of the canyon surprised me. The sun alternately brings formations into sharp focus, and then casts them into shade. As I painted, a burst of sunlight struck the foreground cliff; I worked hurriedly to render the dramatic effect. My Grand Canyon captures just one of the many expressions that passes over this sculpture from the hand of God.